Do you (like me!) love to read about DIY projects on blogs, but wonder how you can make those same ideas work in your own home? Today's guest post is for you! Since we're still Disney-bound, Erin from How to Nest for Less is here to show you how to incorporate DIY projects into your space. My name is Erin and I'm the DIY wannabe behind How to Nest for Less! 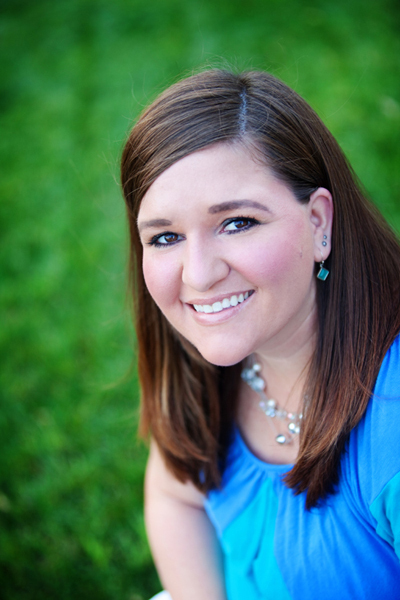 I'm so excited Amanda asked me to guest post while she's on vacation! Since I like to create a lot of things that I incorporate into my everyday living space, today I thought I would share with you some of my favorite projects from my daughter's bedroom makeover. 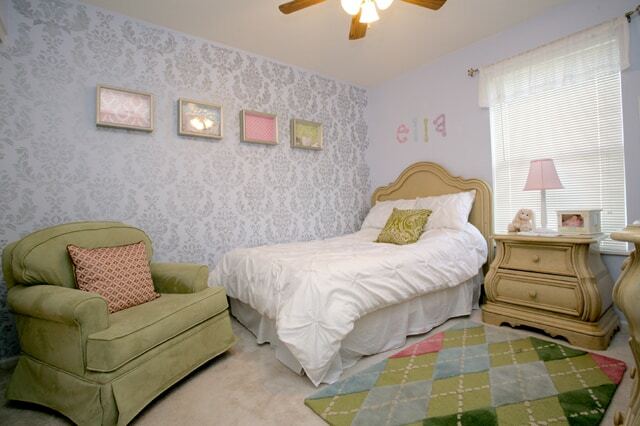 One of the very first things I did to her new room was add a silver metallic stencil to the back accent wall. This was an easy project since it's just paint, and it adds some great focus to the room! I also made sure to add some texture and eye candy, like this Anthropologie-inspired flower lamp shade I created using some supplies I found at Michael's. I'm also a huge fan of finding old furniture from family members, garage sales and Goodwill. I scooped up this desk and chair, gave them a fantastic makeover with a bit of paint, and now my kiddo has a great spot to do her homework or color! I have some other great DIY projects that I added to her bedroom, but you'll have to come visit my blog to see more! Oooh, and while you're there, you can check out my Master Bedroom Makeover!! Thanks for letting me share some of my creations with you today! For a full tutorial on any project that I mentioned, please make sure to click on the links. I really enjoyed sharing with you today, and I hope to see you guys over at my blog sometime! And Amanda, thanks so much for inviting me to Serenity Now for the day! How to Nest for Less. I've gotten to know Erin a little better recently, and I am so excited to meet her at the Haven Conference this summer in Atlanta. Erin's blog is a fun spot with all sorts of lovely (Pinnable!) ideas and projects. 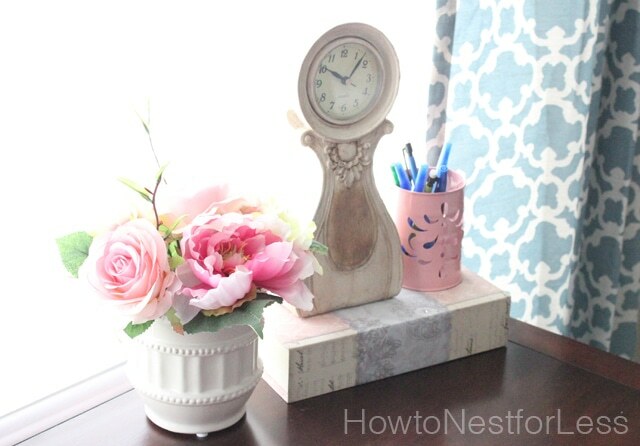 Please be sure to stop by How to Nest for Less, her corner of the blogosphere and let her know I sent you! Back tomorrow with a SUPER (hint hint) fun Disney craft! Nice meeting Erin. And what a fun room. Love the lamp. I love that stencil wall! I won a stencil a few months ago, but I still haven't gotten around to using it. 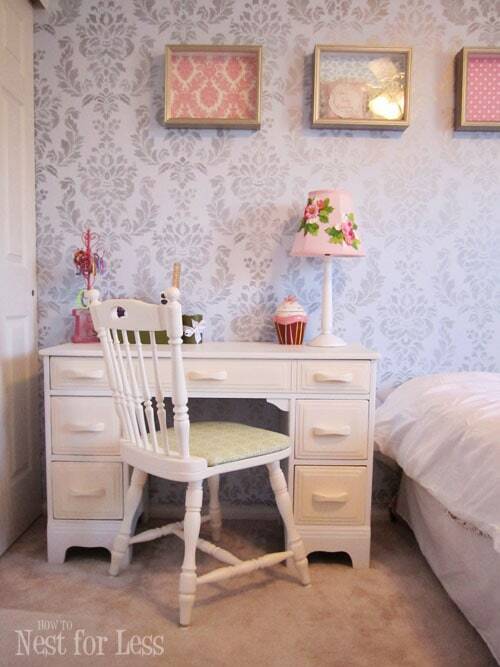 The stenciled wall is beautiful. It adds just a touch of elegance to the room. 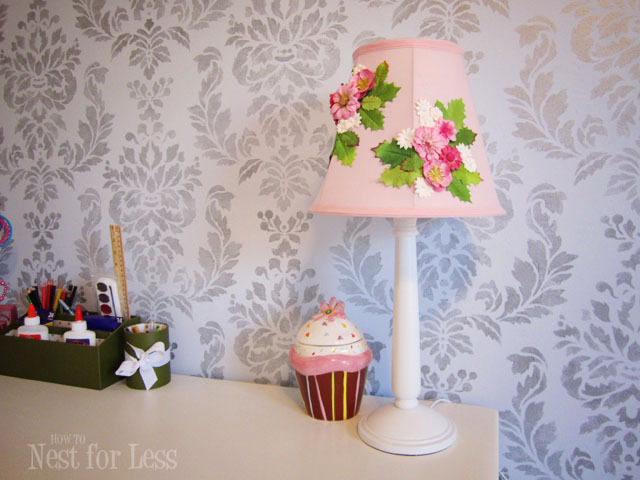 She did a great job incorporating DIY projects into the room.